Quick overview Ai Weiwei's Sunflower Seeds, a famous living Chinese artist and activist, and a figure of extraordinary talent, courage and integrity. This book is an exploration of Ai Weiwei's life, art and activism. It is a picture of the man and his beliefs, what he is trying to communicate with his art, and of his campaign for democracy in China. In October 2010, Ai Weiwei's Sunflower Seeds appeared in the Turbine Hall in the Tate Modern. Six months later, he was arrested in China and held for over two months in terrible conditions. The most famous living Chinese artist and activist, Ai Weiwei is a figure of extraordinary talent, courage and integrity. From the beginning of his career, he has spoken out against the world's greatest totalitarian regime, in part by creating some of the most beautiful and mysterious artworks of our age, works which have touched millions around the world. After Weiwei's release, Barnaby Martin dodged the secret police to interview him about his imprisonment and his intentions. Based on these interviews and Martin's own intimate connections with China, Hanging Man is an exploration of Ai Weiwei's life, art and activism. It is a rich picture of the man and his beliefs, what he is trying to communicate with his art, and of his campaign for democracy and accountability in China. It is a book about courage and hope found in the absence of freedom and justice. 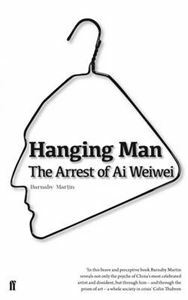 "Hanging Man is the most detailed, comprehensive and eloquent English-language account of what happens these days to Chinese political prisoners...? invaluable book." (Literary Review).